I was recently faced with the task to install a CRM 2015 without any internet connection which seems like a thing that’s not that uncommon. There are enough companies out there that don’t want their servers to touch internet. There is however no guide in the Implementation guide as far as I could find, and I didn’t find any guides on that same internet so I thought I would put a short one together if I need it in the future. Maybe someone else can use it too in an upgrade situation, which is what I’m doing. First issue is that the C++ redist didn’t install. 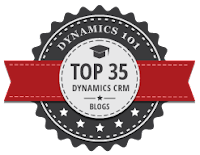 This issue was resolved using the ever knowing CRM community at https://community.dynamics.com/crm/f/117/. Where I found this post https://community.dynamics.com/crm/f/117/t/148286. Easy solution, download the file from http://go.microsoft.com/fwlink/?LinkId=402059&clcid=0x409 and place it in a folder called VCRedist in the folder where you expand the CRM installation files, in my case c:\tmp\crmunp\vcredist. I installed the redist, but I still needed to have the file in that folder. Download those and copy them to the server you want to install CRM 2015 on and install them, after that everything should be fine and dandy.